New to Yammer? Download this cheatsheet to help you navigate. We will be demo’ing Yammer at SBW on Tuesday night, as well as talking about the considerations for having a social business. Next How Do You Enforce Governance in SharePoint? Yup, it’s sure got it’s uses. Got a second Yammer post coming on Tuesday. Thanks. 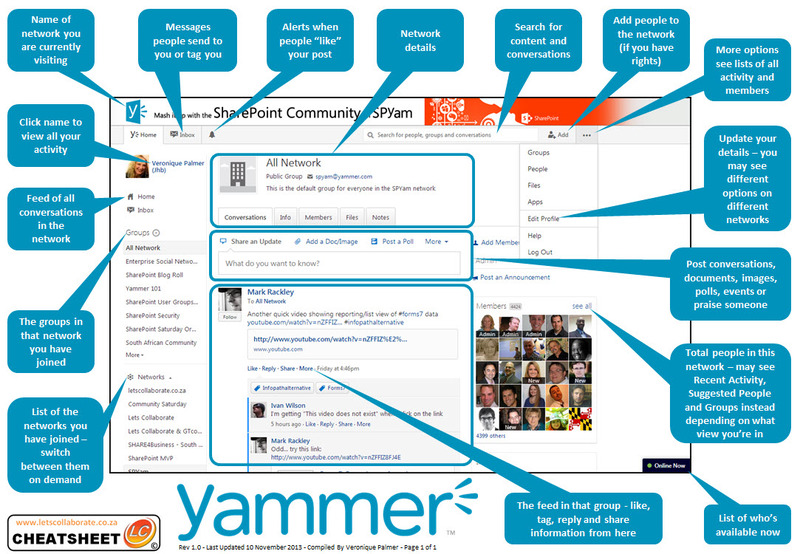 I was introduced to Yammer a couple of months ago as part of a local group’s efforts to organize an event. It is indeed handy!